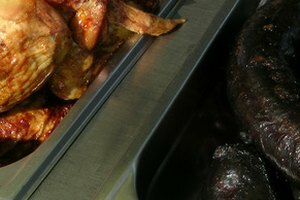 The term "giblets" refers to the heart, liver and gizzard. The neck of the chicken may also be included with the giblets. These parts are typically placed in a small bag inside the chicken after processing. 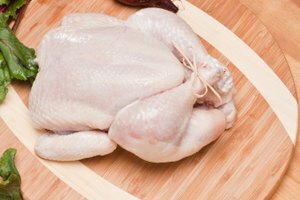 According to the USDA, birds packed without the giblets are required to have labeling to that effect. 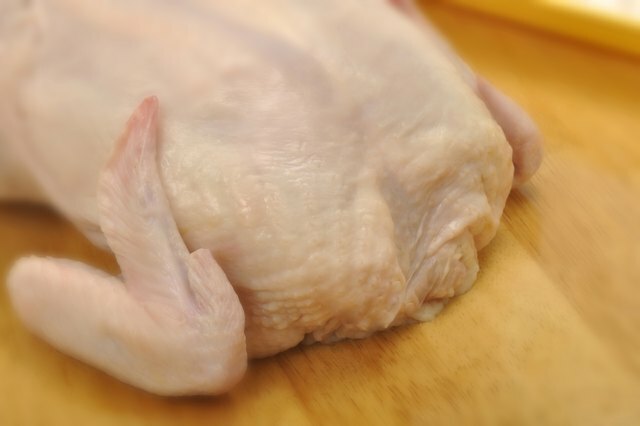 Removing the giblets is the first step in preparing a whole chicken. 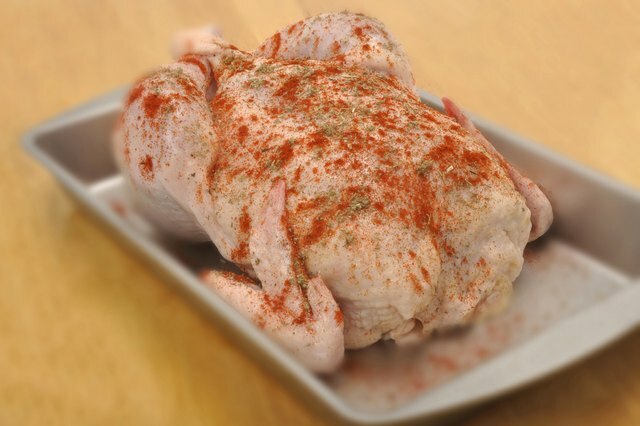 Remove the packaging and place your chicken on a clean, food-safe surface. Locate the neck opening of the chicken. Reach into the opening with one hand while holding the chicken steady with the other. Feel around for the package of giblets. They will be wrapped up in a small paper or plastic bag inside the bird's abdominal cavity. Feel around the bird's posterior opening if you do not feel the giblets immediately at the neck opening. It is important to check both before concluding that there may be no giblets. Pull the package of giblets out. You can throw the giblets away or use them to prepare a gravy for the chicken. Continue preparing the bird as you would normally. 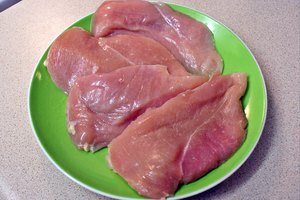 If you make gravy out of the giblets, do not include the liver, as it can add a bitter flavor. You can add the neck to the giblets, if it is included in the package. 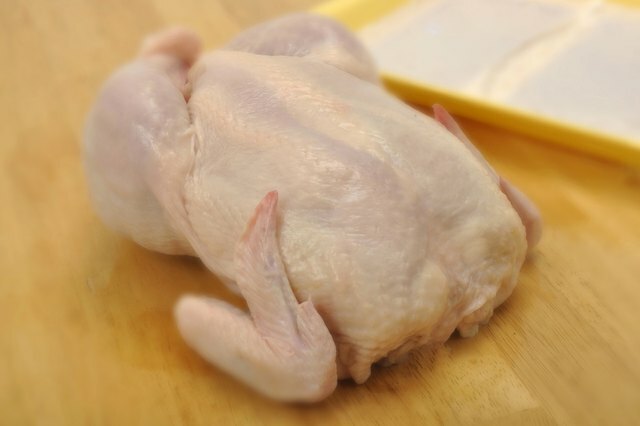 How Long Is Chicken Good for After the Sell-by Date?